Who is the best Marriage Partner for Mirugasirisham – Mithuna Rasi (Gemini Sign) girl? *The Results of the matches are applicable for the female Mithunam/Mirugasirisham; and the boys should look for their matches under their prospective female counterparts. 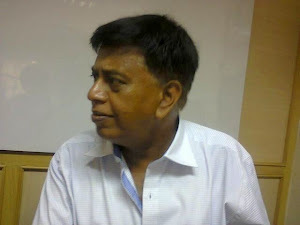 Moderate Matchings: Bharani, Rohini, Aridra, Poorva, Uthiram, Purvasada, Uthrasada, Purvabhadra, Uthrabhadra, Kiruthigai, Ayilyam, Magham, Chittirai, Visakam, Jyestha, Moola, Dhanistha and Sathabisham. Bad Matchings: Mirugasirsa, Aridra, Punarpusam, Pushyami, Ashlesha, Magham and Poorva. Yoni Porutham: This Porutham indicate the sexual compatibility between the Couples. *The Couple would remain satisfied with their sexual relationship. Best Matchings: Taurus, Gemini, Virgo, Libra, Capricorn and Aquarius signs. Worst Matchings: Cancer, Leo, Scorpio, Sagittarius, Pisces and Aries signs. Rajju Porutham: The Girl would be facing serious troubles in her life. 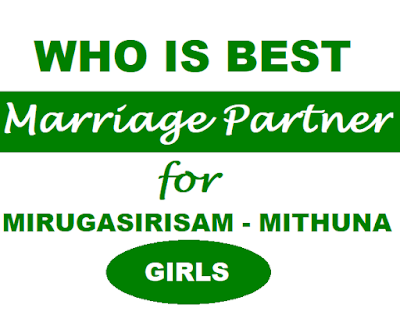 Who is the best Partner for Mirugasirisham – Rishaba Rasi (Taurus Sign) girl? *The Results of the matches are applicable for the female Rishabam/Mirugasirisham; and the boys should look for their matches under their prospective female counterparts. Boys capable of luring the Mirugasirisham/Taurus Sign Girl: Virgo. The Results for Marriage (Kalyana) Porutham between Thiruvathira Girl and Mirugasirisa (Mithuna Rasi) Boy: 9 out of 10. (Results: 6 out of 10 is enough for a Marriage). The Results for Marriage (Kalyana) Porutham between Aswini Girl and Mirugasirisa (Gemini Rasi) Boy: 4 out of 10. Here the Marriage is NOT recommended.